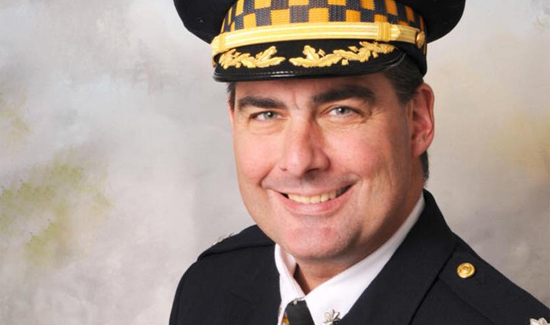 A suspect with a long criminal including a conviction for armed robbery has been charged with first-degree murder in the fatal shooting of Chicago Police Commander Paul Bauer. Shomari Legghette, 44, was also charged with being a felon in possession of a firearm, armed violence and possession of narcotics after police arrested the suspect. Police Superintendent Eddie Johnson spoke about the suspect, but also described Cmdr. Paul Bauer’s final moments as he assisted other officers who were in pursuit of Legghette.